Airing as the first feature on CBS News program “60 Minutes” on Sunday night was an investigation into the online poker scandals that rocked Ultimate Bet and its sister site, Absolute Poker. Both rooms are owned by Tokwiro Enterprises. Correspondent Steve Kroft traveled to several countries as part of the story, which ultimately claimed that internet gambling was illegal in the United States. The news program opened up its show by discussing when the poker boom began, which it stated was the moment that Chris Moneymaker defeated Sam Farha in the 2003 World Series of Poker (WSOP) Main Event, taking home $2.5 million and proving that, in poker, amateurs can compete toe to toe with resident pros. Also at that final table were 1995 WSOP Main Event champion Dan Harrington and bracelet winners Jason Lester and Amir Vahedi. 60 Minutes cameras showed footage of the 2008 World Series of Poker. The story then focused on online poker in particular. 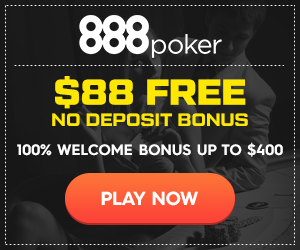 Kroft stated, “We should tell you that this $18 billion industry is illegal in the United States, but the ban is almost impossible to enforce since the internet sites and the computers that randomly deal the cards and keep track of the bets are located offshore, beyond the jurisdiction of U.S. law enforcement.” In a 2004 article, gambling law expert I. Nelson Rose commented on the legality of online poker: “It depends mostly on where you live. It depends also on how the game is being run. And, in the real world, it depends on whether anyone is going to do anything about it.” A 2005 Ipsos-Reid study claimed that 15 million Americans played poker online for real money. Serge Ravitch, who goes by “adanthar” in the online poker world, inserted questionable hands into PokerTracker, a popular database program, and told 60 Minutes, “When the other person was bluffing, he would always go all in. When the other person had some kind of made hand, he would always fold.” Players can now relive some of POTRIPPER’s play in several videos posted on YouTube that use the hand replayer of poker training site PokerXFactor. Russ Hamilton won $1 million by taking down the 1994 WSOP Main Event. In that tournament, he defeated Hugh Vincent heads-up and, 10 years later, masterminded a $20 million cheating scandal on Ultimate Bet. Hamilton was publicly named in a report distributed by the Kahnawake Gaming Commission (KGC), the licensing agency for many of the world’s online poker rooms. 60 Minutes claimed that the Kahnawakes “register and service more than 60% of the world’s internet gaming activity.” Its servers are housed in a converted mattress factory on its reservation located just outside of Montreal, Canada. Joe Tokwiro Norton, according to a memo distributed by Ultimate Bet as well as CBS News, is the owner of Tokwiro and its two online poker rooms. However, Norton is also a former Grand Chief of the Kahnawakes. When Kroft asked current Kahnawake Grand Chief Michael Delisle why the KGC did not suspend the licenses of either Tokwiro room, he responded, “They were afraid that if the rug was pulled out from under them, the players wouldn’t be paid.” Absolute Poker and Ultimate Bet were fined a combined $2 million. Players have since been compensated for their losses. Hamilton, according to footage shown 60 Minutes, resides at the Tournament Players Club in Las Vegas. The news program aired a clip of Kroft allegedly calling his home and leaving a message for Hamilton. However, the call was not returned. The story then ended with Witteles speculating that other cheating that is less “greedy and blatant” may be transpiring on other rooms besides Absolute Poker and Ultimate Bet. We’ll have reaction to the program from around the industry for you on Poker News Daily.